An American remake of the anime classic Ghost in the Shell is a project that has been brewing damn near forever. Though it looked like it was never going to get made, momentum has been rolling right along recently. They have a director, a release date, a big time star in Scarlett Johansson, and now the movie even has its very own villain. Based on the 1995 film, which itself is based on Masamune Shirow’s 1989 manga of the same name, Ghost in the Shell is one of the most popular, influential anime properties of all time. 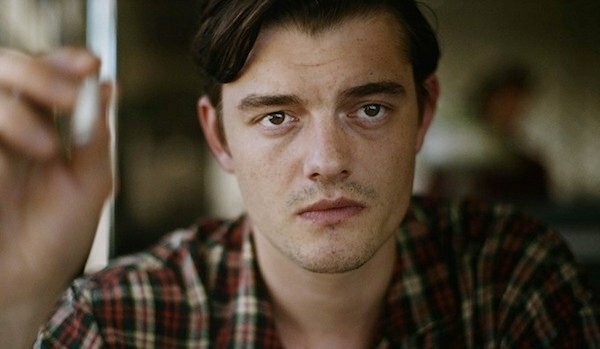 Dreamworks has been working on an American remake for years, and now Deadline reports that they’ve found another key piece of the puzzle, as Sam Riley is in early talks to play the main antagonist. There’s no hard and fast deal in place just yet, though both sides reportedly want this to get done. Riley has played a couple of real-life iconoclasts in recent films, playing Jack Kerouac in an adaptation of On the Road and Joy Division front man Ian Curtis in Control. The British actor’s highest profile role to date has been in Maleficent, though he’ll be seen shorty in Pride and Prejudice and Zombies. Should he sign on for Ghost in the Shell, he will play The Laughing Man, a fanatical extremist and hacker trying to take down a massive robotics company called Hanka Robotics. Scarlett Johansson plays the hero, a special forces cyborg who leads the elite law enforcement unit Section 9, devoted to taking down the most dangerous criminals—they also happen to be employed by Hanka. No conflict of interest there. It’s going to be really interesting to see how much of the dense thematic framework in Ghost in the Shell translates or at least survives the adaptation. Visually, the original is a hugely influential film—you can see the obvious imprint in the Wachowski’s Matrix movies for example—and there are themes of sexual and gender identity, technology run amok, and many more that are just as prescient and important today as they ever were, perhaps even more so. Rupert Sanders (Snow White and the Huntsman) will handle the directing duties, while the latest version of the script is coming from an unlikely source, Jonathan Herman, who penned this summer’s surprise hit NWA biopic, Straight Outta Compton. Preproduction is rolling along right now, and they movie also recently added Johansson’s Lucy co-star Pilou Asbaek to the roster. Assuming the whole thing doesn’t fall apart between now and then, Ghost in the Shell is scheduled to open March 31, 2017.